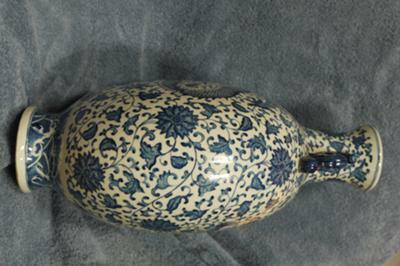 I bought this item in an antique shop. 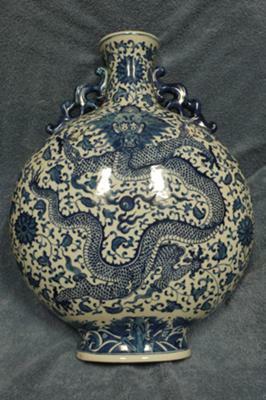 It has a very impressive appearance, and it is roughly 17 inches tall. A quick internet search showed that most of the characters in the mark match what was listed for the Qianlong, but there were some differences. All photos were taken in natural light. I'm afraid this is modern, fairly new, with a try to make it look old. 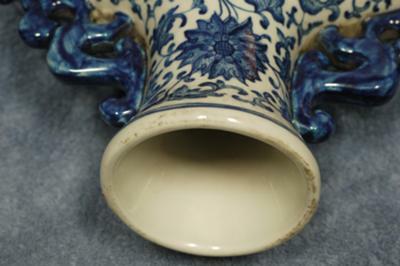 The foot rim, tone of blue color, as well as the glaze do all not look right for an antique item. 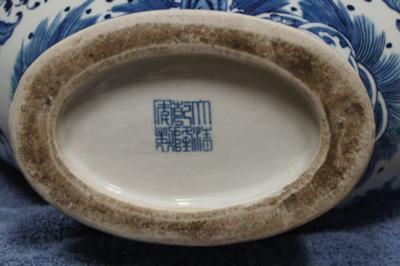 There is an apocryphal Qianlong mark. It's actually too easy to see that it is a fake.